The Alfa Romeo brand has a long and storied history, but has just recently had a renaissance in the North American market. If you are in the market for the ultimate combination of Italian style and performance, you owe it to yourself to check out the full line of new Alfa Romeo models including the Stelvio, Stelvio Quadrifoglio, Giulia, Giulia Quadrifoglio, 4C Coupe, and 4C Spider. Here’s another thing you’ll love about Alfa Romeo vehicles: their affordability. It’s true. When you compare Alfa models against their counterparts from other manufacturers, you’ll find that in many cases that Alfa Romeo is the superior value. That’s not even taking into account all the features and performance you get when you purchase or lease a new model from Safford Alfa Romeo of Tysons Corner. You don’t, however, have to take our word for it. You can check for yourself right here in this space. We’ve taken Alfa Romeo vehicles and performed an in-depth comparison, so you can explore all the advantages that the brand offers. You can use this as a shopping guide in order to make sure you feel comfortable with your decision to go with Alfa Romeo. No matter what day of the week or month you shop, you’ll find that Safford Alfa Romeo of Tysons Corner has incredible purchase and lease specials available on the full line of new models. It could be a competitive lease plan on the Stelvio crossover or a great interest rate on the sporty 4C Coupe or Spider. It’s just another way that our dealership serving the Arlington and Washington D.C. areas makes these incredible vehicles well within your reach. While we could go on and on about all the amazing aspects of the Alfa Romeo brand, nothing beats an in-person test drive. Just contact us online if you’d like to get behind the wheel and experience the thrill of test driving some of the most exciting and innovative automotive products on the planet. 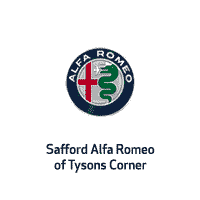 Safford Alfa Romeo of Tysons Corner is conveniently located at 8448 Leesburg Pike, Vienna, VA 22182. We invite you to review all of the comparison information we have provided on this site. We firmly believe that when you review the facts, you’ll quickly agree that Alfa Romeo is the best kept secret in the automotive industry when it comes to the best combination of luxury and performance. The exterior styling aspects of the vehicles are second to none and the engineering is simply first-class. When you factor in the affordability aspect when compared to rival offerings from other automakers, the choice is clear. Why Choose Alfa Romeo of Tysons Corner? We’re proud to be a premier provider of the Alfa Romeo brand in the state of Virginia and offer world-class service after the sale. That includes a top-notch maintenance center that can take care of all major and minor service work on your Alfa Romeo vehicle. Who better than the Alfa Romeo experts to make sure your vehicle stays in peak running condition?